How to break through the stigma and start the discussion with those contemplating suicide. The four types of suicide and common myths surrounding those with suicidal thoughts. Current treatments and what you can do to help a loved one or friend, and those impacted by somebody who takes their own life. Further reading, studies and resource links around suicidal thoughts and treatments. Suicide is one of the most difficult topics to talk about because of the stigma attached to it. A few years ago, suicide jolted my life. I was in shock for a long time. But this isn’t the place to linger on my specific incident but it raised a lot of questions about suicide as a topic for me and it felt the right timing to do research to get some answers now there’s been some time distance since it happened. It isn’t just the stigma alone that deters people from discussing it, but also the ‘concern’ talking about it may actually lead someone to contemplating it, or following through on thoughts they have about taking their own life. But research tells us this just isn’t reality. Not talking about suicide is more likely to lead to a tragedy. Throughout time, suicide has been deemed; a ‘sin’, an act of cowardice, behavior that demonstrates complete selfishness, or a response to mental illness (depression), and even in some cultures, a dignified act under certain circumstances. When you view suicide within any and/or all of these contexts, you can see why discussing it for some people would invoke the same feelings as discussing politics or religion. Most have different views about suicide, and it can be taboo to discuss it just like politics and religion. The sad part is, when someone close to you, or someone you know or are aware of, takes their own life, regret becomes hindsight, which is always 20/20. 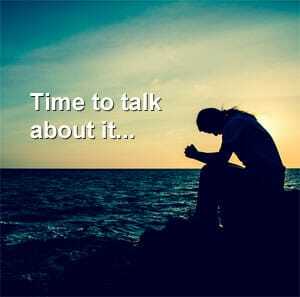 The ‘ifs’ come into play – “If only I would have just listened to them, or encouraged them to talk about it…” Taboo and discomfort aside, suicide is, and should always be, a topic to put “out in the light” and discussed! Often times it takes a major media event to shed light and bring to the public’s attention how serious a problem suicide truly is. Moreover, when it involves an individual with celebrity status taking their own life, whether it be Kate Spade (American fashion designer) or Anthony Bourdain (CNN chef and storyteller) in 2018, the general public becomes ‘more’ aware suicide is indeed a problem and real. The sad part is, people tend to become more cognizant of people taking their own lives when a celebrity commits suicide, that the majority of others taking their lives, perhaps numbering in the hundreds every month, are never made known to the public. The moral of the story, society grieves celebrities who take their own lives, but it doesn’t grieve enough for the everyday “Joe’s” and “Jane’s” who take their lives. Suicide should not be glamorized or manipulated by the media to get ratings because someone famous has died. It should be discussed in the media, in schools, in households more often to not only inform people, but rather offer hope and support there is help out there. Too often times, this isn’t done and this is how in some cases, suicide can, or could have been, prevented. If the way society approached suicide is ever going to change, it first has to change the way it perceives this horrific event. Throughout history, suicide has always been a topic of ‘tainted’ discussion. Many elementary schools and high schools have tended to shy away from discussing it as part of the curriculum, or as a general topic. Too many parents of the children in schools, and school boards have always viewed it as taboo – thinking… it may give children ideas. Interestingly, in these same schools, iconic literary works such as Shakespearean plays as well as other novels are still a part of the curriculum having at the core of their romantic tragedies suicide as ‘the answer’, or suicide in some instances was the honorable thing to do for the main characters in the story’s plot. This is how most of us are introduced to suicide, but isn’t how it should be. When people think about or read about suicide, they often compartmentalize it or stereotype it as being the mere act of one killing themselves because they are unhappy with their life or they’re deeply depressed. As true as this can be, suicide runs much deeper in terms or underlying causes, as well as one eventually following through in taking their own life. Emile Durkheim did a study on the types of suicides nearly 70 years ago  and came up with four distinct causes or reasons individuals commit the act. He asserted suicide types will often times fit into one of these four categories; Egoistic, Altruistic, Anomic and Fatalistic. Egoistic Suicide is the type of suicide most people associate with when they read about a death in the media or in schools. The suicide is based on extreme feelings of loneliness, or rebuff – either from a personal rejection, or overall from society. Over a period of time a sense of ‘loneliness’ will be perceived by the individual and this may lead to intense feelings of hopelessness, helplessness and haplessness. Rather than dealing with this internal struggle of rejection, they choose to end their lives by believing they’ll find some sense of solace, or believe they’re doing others a favor by disappearing for good. Furthermore, some may even take their own lives to ‘punish’ those who have rejected them. Many of this ‘suicide-type’ have low self-esteem and often dissociate themselves from others. Altruistic Suicide is the type of suicide often times associated with martyrdom, or a sense of self-sacrifice for the greater good. You read about this more in the media today when it comes to terrorism or cult affiliations destructive in nature. A suicide bomber is willing to walk into a market place (bomb strapped to their bodies) to die for the name of their group or cause. You see this also in some cult groups such as Heaven’s Gate, who killed themselves believing they’d catch the Hale Bopp Comet back in the late 1990’s, or the infamous Jonestown Massacre led by Reverend Jim Jones in the 1970’s in Guyana. Anomic Suicides are usually the least predictable type of suicides carried out during intense periods of stress or frustration, or after a person has experienced a major traumatic loss in their lives. At the root of it, individuals believe they’ve lost their ability to control things, their lives, their personal relationships, etc. Whatever degree of balance and control they believed they had in their lives gets turned upside down and they feel vulnerable. Unfortunately, great financial loss is often times at the root of this type of suicide and you see it in some gamblers who’ve lost their entire savings. Fatalistic Suicide is the final type of suicide. It’s a different type of suicide in that an individual perceives themselves as having little to no value, and literally struggles with an identity crisis – “Who am I?” In the past, this type of suicide was strongly linked to ‘countries’ or regimes where members of society were suppressed and oppressed. It was common in communist countries. 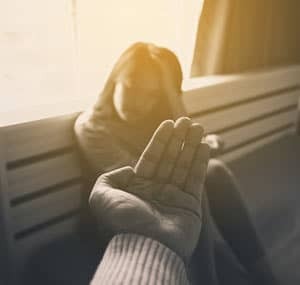 Today with more insight into spousal abuse or extremely abusive dysfunctional families, this type of suicide can be linked to one feeling overwhelmed and victimized whereby they develop intense feelings of hopeless, helplessness and haplessness. For them, suicide feels like the best and sometimes only option to be ‘free’. As I mentioned earlier, there are common myths linked to ‘suicide’. The first is, feeling if you discuss it, it may lead someone to actually killing themselves. Secondly, if someone is talking about killing themselves, they probably are not serious because they wouldn’t be talking about it in the first place. These are both dangerous myths which can lead to further isolation by those considering suicide. Discussing suicide will not put ideas into peoples’ heads that weren’t already there. Just because someone is depressed or, down and out, doesn’t make them stupid! 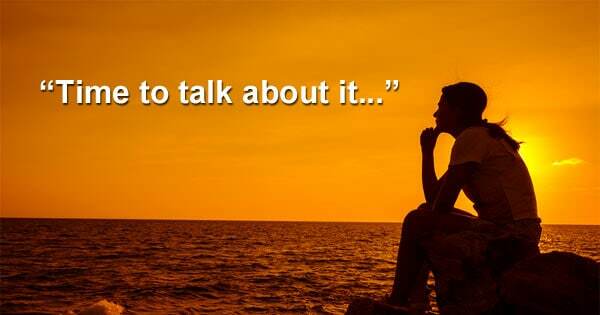 If they have thoughts about suicide, then those thoughts have most likely come long before your discussion with them. All discussion or threats about suicide should be taken seriously! Of course, if someone is ‘joking’ and using sarcasm to refer to themselves in that light, most individuals are wise enough to discern it isn’t a true threat. Conversely, if one is discussing suicide and death often, or out of context, then you should take it seriously and use what experts refer to as the ‘Four Questions’ – Why, When, How and Where? The first question, which is perhaps the most obvious one to ask an individual who is threatening to commit suicide is, “Why do you want to kill yourself?” The reason this question is important is two-fold. First off, it assesses the degree of severity for how intent one is on following through with suicide. By asking this question, you see what the trigger or cause is, or was, that led the individual to want to take their own life. Secondly, this question demonstrates the ‘thoughtfulness’ for the intent of taking one’s life. It first serves as thoughtful for the listener to gauge how serious they are in committing suicide. Next it demonstrates the severity of the potential act for the one wanting to commit it. They may have thought it through, but actually hearing it in a conversation with someone else may make them refrain from doing it, and following through, because they may have an ‘ah-ha’ moment whereby they realize how irrational their thinking is. For some potential suicide victims, they want to be heard, felt understood and wanted, so asking them ‘why’ may provide them with this. The second question to ask a potential suicide victim is, “When are you planning to take your own life?” The rationale for asking this question is to determine not only how serious they are, but where they are in terms of planning the event. If they can offer you a specific date and/or time, they obviously have put some serious planning into it. Furthermore, when they’re able to qualify the rationale for their timeline, the likelihood of them doing it goes up to an even higher level of concern. For example, if they inform you they plan on doing it after a major holiday or event because they don’t want to ruin things for their loved ones, or that this is going to be their final good-bye, you can be sure they’re extremely serious! The third question to ask is, “How do you plan on taking your own life?” Do they have a plan in place and the means for carrying it out? When asking this question, you’re finding out if they already possess the means for taking their own life. If they inform you they’ve gotten sleeping pills because they’re afraid of a violent death and they ‘just want to go peacefully’, they have motive, rationale and means. Conversely, if they’re in possession of firearms and believe in a quick harsh type of death, then once again, they’re demonstrating their level of severity and intent. Finally, you want to ask them, “Where do you plan on committing suicide?’, to see if their plan is complete and close to fruition. When they tell you, they plan on going to some secluded area, or even checking into a hotel so their loved ones will not be the ones to find them, they’ve also put empathy and sympathy into their equation, meaning they’ve totally thought their plan through. When they’re already demonstrating remorse before committing the act and ‘sorry’ to those who will find them, they are beyond a shadow of a doubt serious! Somebody with a serious or chronic mental illness is at an increased risk of suicide. This includes those people diagnosed with Schizophrenia, Bi-polar and PTSD  because these can have severe depression as a symptom and we know from experience depression can lead to people taking their own life if not diagnosed and treated. Depression itself can be treated with medication and other therapies  but we also know those suffering with mental illness can stop treatment and quickly slip back into being at risk once again. However, research tells us a few things to be careful about assuming with mental illness. Not all people with mental illness have suicidal thoughts or are at risk, and not all people who commit suicide have a mental health issue causing them to suffer from depression . One recent study in China has particularly thrown doubt on conventional wisdom and rethinking the role of mental illness in suicide . If you’ve been diagnosed with a mental illness or caring for somebody who has it, then being vigilant and aware of the risks and ensuring treatment is ongoing can reduce anxiety over potential for suicide. TREATMENTS AND WHAT CAN YOU DO? Crisis situations should be treated as an emergency calling 911 or a local emergency number. There is also the National Suicide Prevention Number at 1-800-273-8255. At the emergency room in a hospital you’ll be treated for any injuries, and if appropriate receive medications to help with the crisis and allow you to be assessed for any follow-up treatment you may need . Non-crisis situations are usually addressed by common outpatient treatments depending on a professional assessment include: psychotherapy, medications, addiction treatment, and family support and education. Psychotherapy by trained counselors and therapies used can include Cognitive Behavioral Therapy (CBT) , Dialectical Behavioral Therapy (DBT)  and other therapies suggested by an attending psychiatrist. Medications help reduce symptoms and tend to include those used for depression but because some of these provide an opportunity for overdose then the choice can vary. “Antidepressants, antipsychotic medications, anti-anxiety medications and other medications for mental illness can help reduce symptoms, which can help you feel less suicidal” . As mentioned not all suicidal thoughts are rooted in mental illness, and drugs and alcohol addiction can spark situations and/or mood disorders leading to attempting suicide. Treatments include detoxification, addiction treatment programs and support groups. Primary physicians and addiction counselors can assess and recommend appropriate treatment and programs. It’s often the case that family members, even immediate family, can be surprised by a suicide or attempted suicide. “I never knew” or “if only I’d known…” are frequent refrains. There can be a desire to “keep it under covers” or not subject others to guilt or shame of suicidal thoughts. The person may also feel if they share their thoughts it will create family conflict and doesn’t want to be bothered or deal with it. Because of HIPAA laws them medical professionals may feel they can’t reach out to the family unless the patient will harm themselves or others. However, if the patient is willing to share their situation with family then a strong family support network can be built and often provides the key to getting the person, not only the help they need, but providing support during their treatment. But what can you do if and when you know or suspect someone is serious about committing suicide? There should be little to no hesitation on your part once you’ve examined the severity of the intent of the individual! The potential victim needs to be psychiatrically assessed and therefore needs to be taken to a hospital and receive the proper care and assessment. There are few if any available studies published on use of hypnosis with those suffering with suicidal thoughts. There are studies on use in depression and I covered these in “Can Hypnosis Really Help with Depression and How Does it Work?” . As depression is a common symptom in those considering suicide then hypnosis can offer an alternative if medication and other therapies have not helped or can provide complimentary therapy to these treatments. 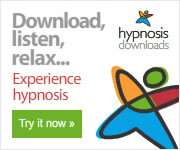 As my article on depression mentioned hypnosis itself isn’t a therapy but a vehicle for providing treatment by a skilled therapist who may have a number of techniques with a patient in a trance state to help control symptoms. For those with suicidal thoughts not caused by depression but a traumatic life event, then a professional hypnotherapist can aid with helping the patient navigate through the loss and negative emotions they’re feeling. For those suffering the loss of someone to suicide or anxious for somebody who is going through suicidal thoughts then hypnosis can provide reduction of stress or anxiety for family members or close friends. It is easy to overlook the grief or helplessness of others who are impacted by the knowledge or events of what somebody else is suffering. We are social creatures and shouldn’t underestimate bonds we have with others be they family members or close friends, and our own sense of loss or being anxious about a potential loss. Of particular concern are best friends who are at risk of entering depression at the loss of somebody who they view as center to their life. There are hypnotherapists who specialize in grief through loss and helping people through an emotional and difficult time. If hypnosis is an avenue you wish to explore then discuss with your primary physician who can help with a referral or perform your own scan and find a local hypnotherapist experienced in helping those with depression. Suicide is often considered a taboo topic to discuss and because of this it often goes unnoticed in ordinary day to day living until a celebrity commits suicide and then it becomes a media frenzy and topic for all the wrong reasons. Normal people are struggling with suicidal thoughts every day and looking for help and understanding. Important lives are being lost because the “cries for help” are going unnoticed or not acted upon by others. Suicide isn’t just the domain of the mentally ill and depressed, although these with severe depression are higher risk. It also walks the corridors in those who’ve suffered a traumatic event or loss and immersed in a deadly cycle of grief. Whatever the cause the myths surrounding suicide, and its discussion, include those who feel if it’s talked about it’s more likely to make the person act on their thoughts. Alternatively, if somebody is talking about their suicidal thoughts, they’re not really serious about it as if they were, they’d keep it to themselves. Both of these we know are myths. There are a number of treatments available for those considering suicide. These include medications and psychotherapy. Therapy allows a professional discussion to happen with the person in an attempt to begin the long-term healing process. Therapy to support or replace medication with particular diagnoses includes CBT, DBT, hypnosis and other specific alternatives. In closing, all discussions or intended attempts with regards to suicide should always be taken seriously! One talk may be all it takes to save someone’s life.